You may consider this script as being part of the RESS (Responsive Web Design with Server-Side Component) movement. You can find out more on the topic by reading these articles: Improve Mobile Support With Server-Side-Enhanced Responsive Design and RESS: Responsive Design + Server Side Components. You can also benefit from Mobile Detect by using any of the 3rd party plugins available for: Wordpress, Drupal, Joomla, Magento, etc. How will the Mobile Shopping App created by SimiCart look like? It is native app: all the apps created by SimiCart are native app, which runs fast, smoothly and directly onto users’ mobile. It is shopping app: every feature, button, navigation… of your app is designed to help your customers search, browse and purchase products easily on the go. 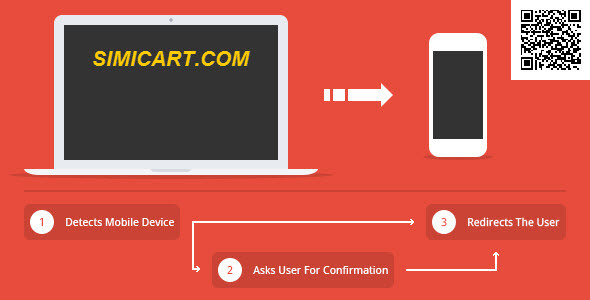 It is fully integrated with your Magento store through a Connector: never have to worry to manage two businesses: mobile and web. They are 100% synced.